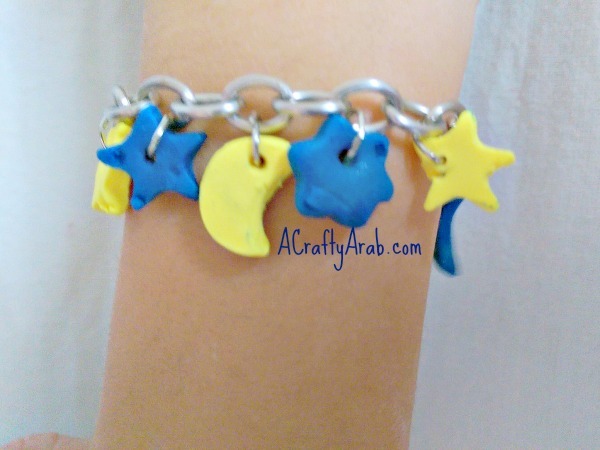 We made our polymer clay moon and star bracelet inspired by an earlier tutorial from our 30 Day Ramadan Crafty Challenge. 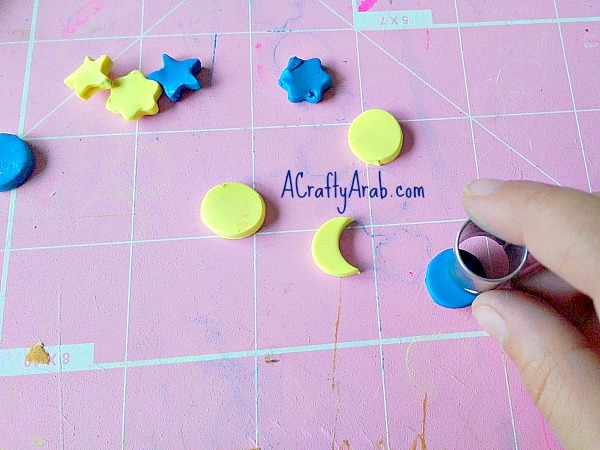 We had used polymer clay to make a Crescent Moon and Star Traveling Tic-Tac-Toe Game. 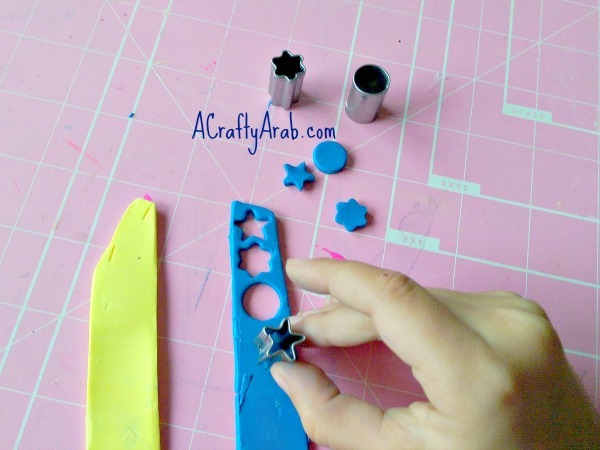 We thought it might be fun to use the same clay again and make hand made Islamic jewelry! 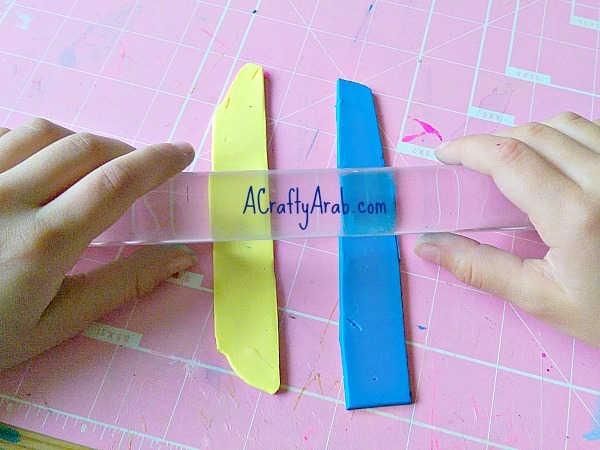 Cut out two even pieces of clay from both colors and use your roller to lay them out even thickness. 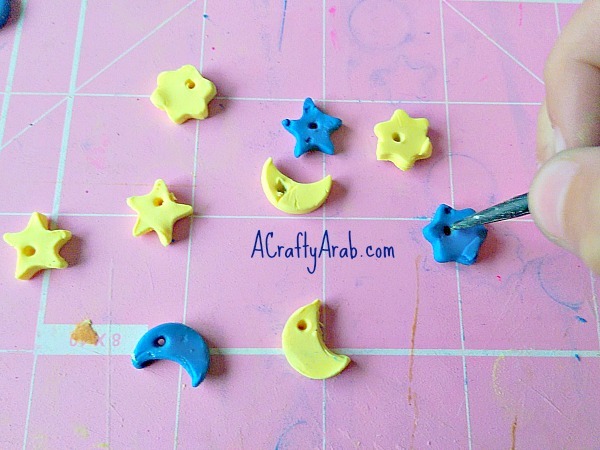 Use your clay shapes to cut out the moon and star pieces. 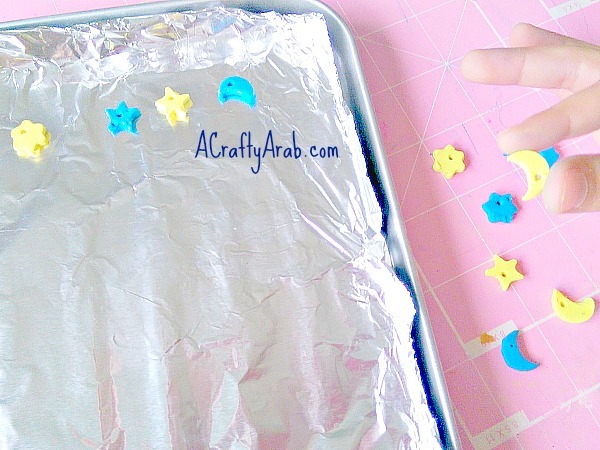 If you do not have the star shape, check out the TicTacToe Game tutorial on how to make stars. If you don’t have the circle shape, you can use a bottle top. To make a crescent moon out of your circle, simply use the circle shape again a little off center. Poke a hole in all your shapes. Place all the pieces on a cooking tray and bake according to manufacture’s instructions. 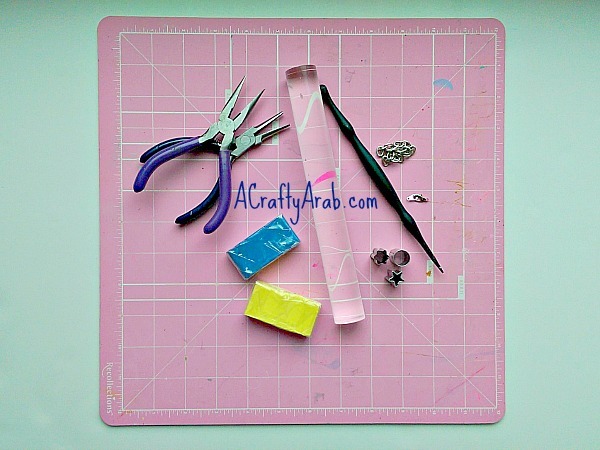 Once your pieces are baked, allow them to cool off completely and use your pliers to add the charms to a chain. 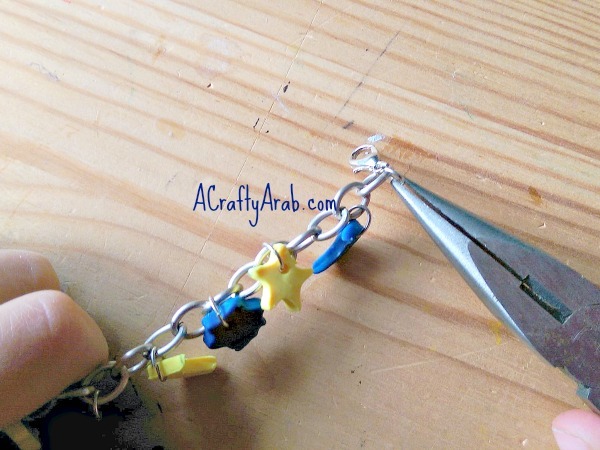 Add the lobster clay closure to the end of the chain to make a bracelet. 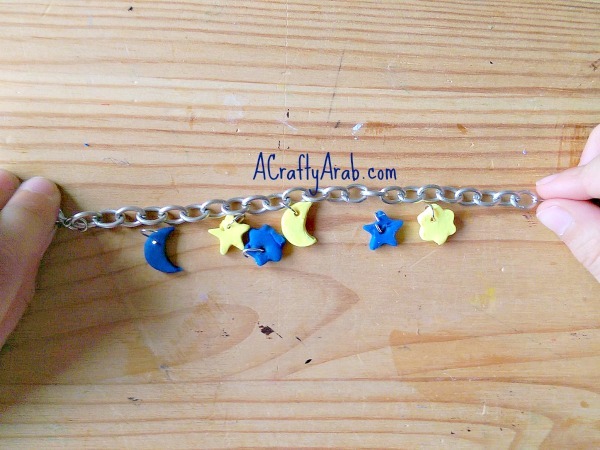 Here is a close up of all our charms on our bracelet. Now we are all ready for an Eid party! Feel free to pin or share this tutorial!